The weather outside is frightful! 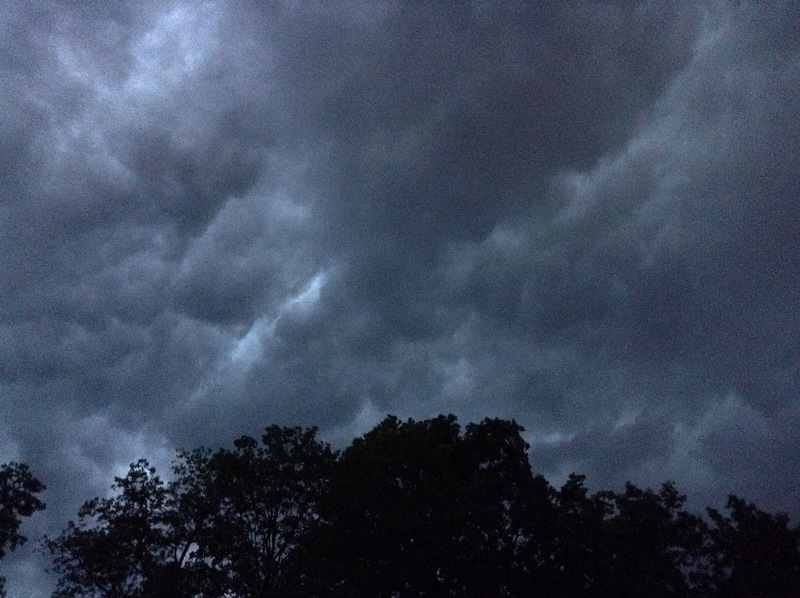 Hot and humid days, lately, have been punctuated by strong thunderstorms. Tonight’s blew in with rushing winds, hail, rain, hail, lightning, rain, hail… you get the idea. We’re to expect more storms over the next few hours as well. What most impressed me with this evening’s first storm was the hail, the likes of which I’ve not seen in a long time, if ever. I ventured out to collect one of the stones from our patio and popped it into the freezer. 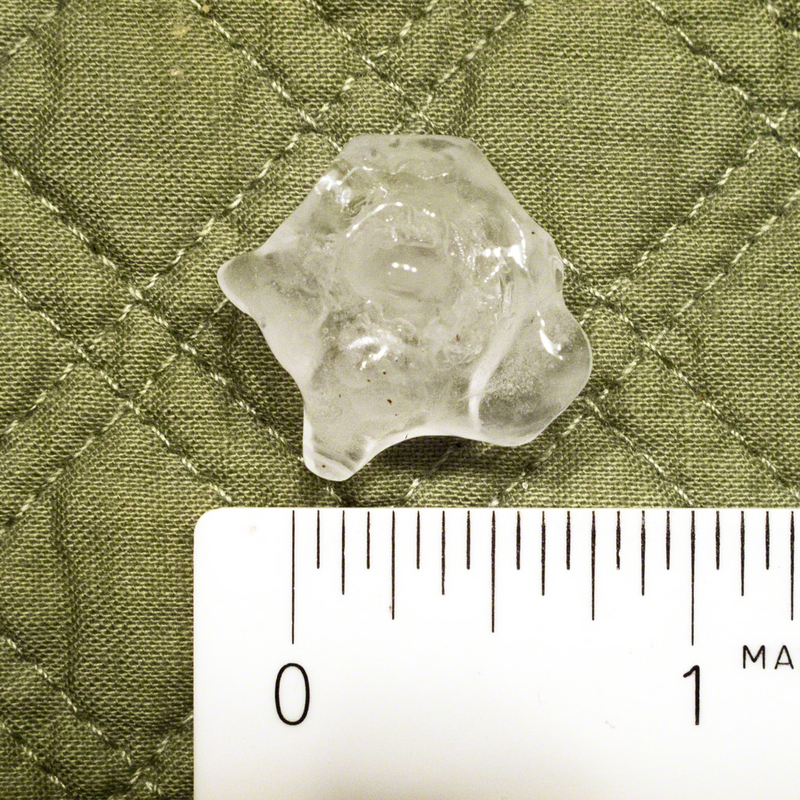 A little later I shot the photo shown here with a ruler; that stone was not the exception tonight! We can use the rain but, goodness, such stormy weather!